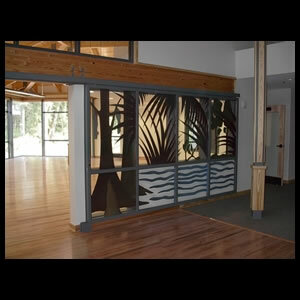 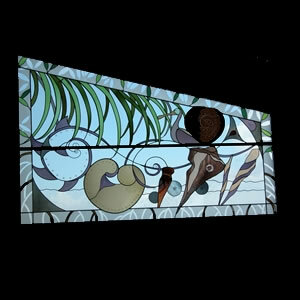 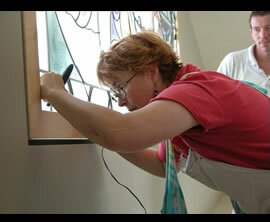 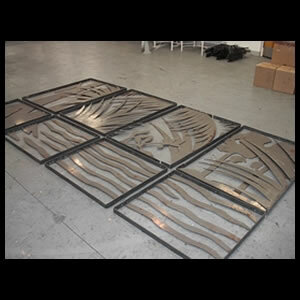 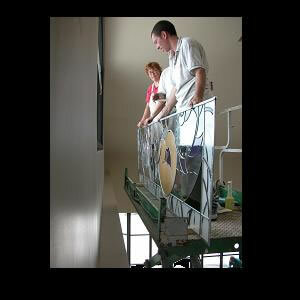 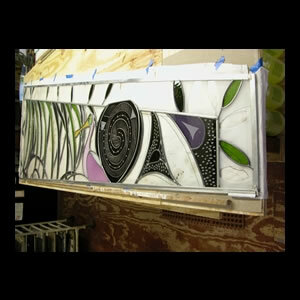 Designed and fabricated in 2003, this art glass window was the first commission awarded by The Pinellas County Arts Council. 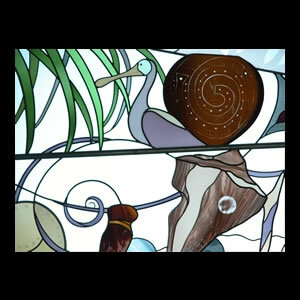 “Remembrance” echoes the history and culture of the ancient Weedon Island people. 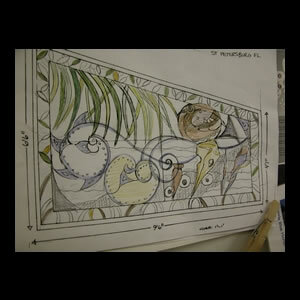 Delicately etched nets drape across water glass referencing the fishing skills of these people. 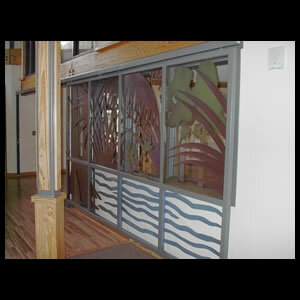 Historically accurate punctuated earthen vessels, fishing weights, tools and natural design motifs also grace this panel. 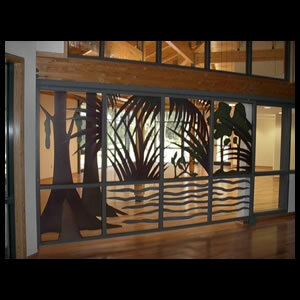 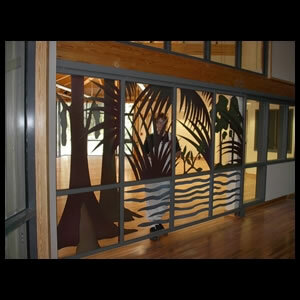 This sculptural hand-painted rolling metal gate serves as the entrance to the Nature Gift Shop in the education center. 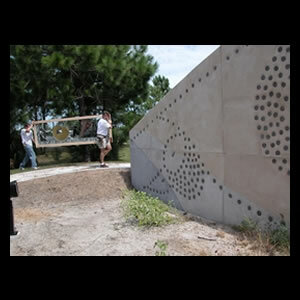 All five of the ecosystems found within the preserve are three dimensionally represented via welded steel.